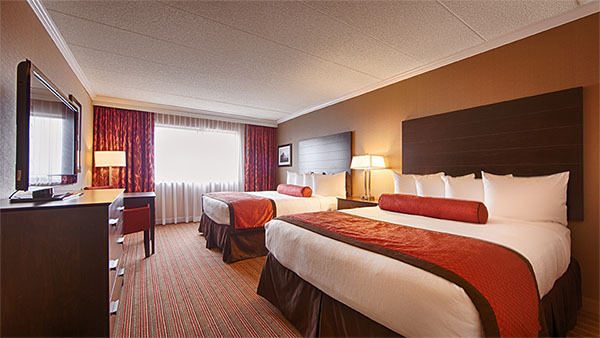 Burnsville’s only full-service hotel with family suites, executive level, executive suites, meeting space, sundries shop, business center, fitness room, microwave and fridge in every room, 100% smoke free, pet friendly and free Wi-Fi. Plus, be sure to check out their on-site restaurant, Morgan's Farm to Table Restaurant, which is open 7 days a week for breakfast, lunch and dinner; including their Premier Farm to Table Sunday Brunch! The Best Western Premier Nicollet Inn is dog-friendly. Regular room rates apply, plus an additional $20 your first night and $15 any subsequent nights stayed. Specific rooms are dedicated for guests with pets. No other pets are permitted.